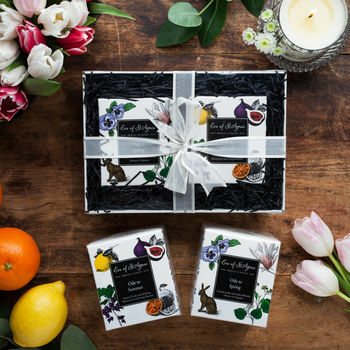 Scented candle gift set containig two natural, soy scented candles with iconic Spring and Summer aromas, including fig, cassis and Linden Blossom. 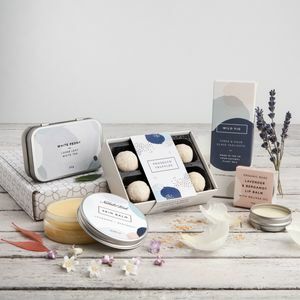 This scented candle gift set contains two natural scented, soy candles. 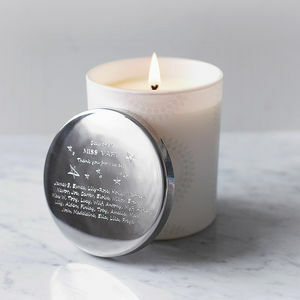 Each candle is hand-poured into a beautiful glass jar, boxed in a silver embossed box and iscello wrapped for an extra touch of elegance. This gift set makes a unique and luxurious Christmas gift for a special friend or loved one. 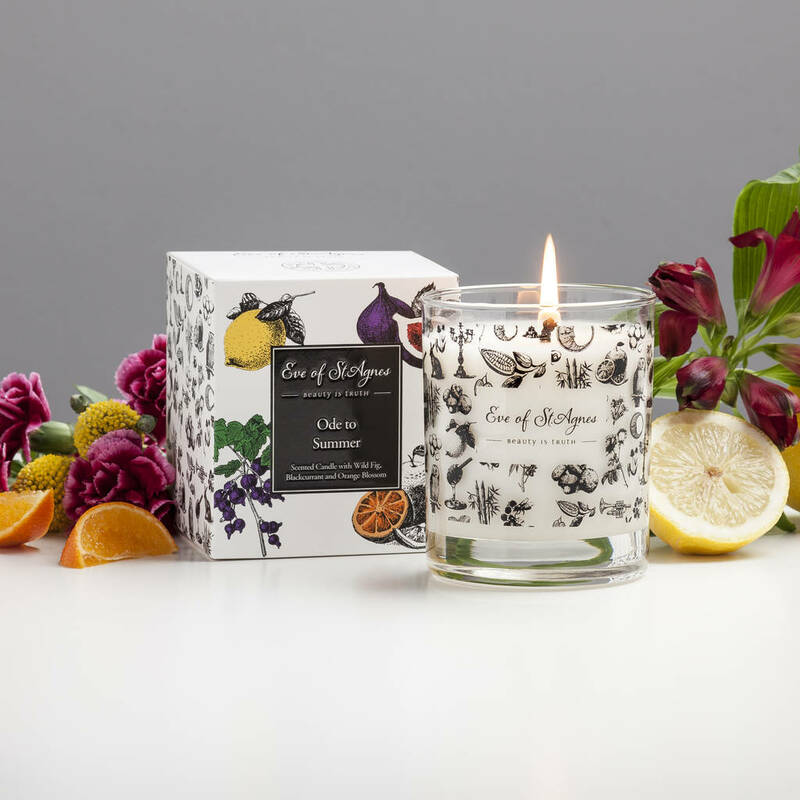 Each 100% natural wax candle contains a blend of all of the iconic aromas associated with Summer, containing Wild Fig, Orange, Cassis, Lemon and Jasmine oils. The sweet, fruity and zesty aromas of the Ode to Summer candle is accompanied by the light and floral fragrance of the Ode to Spring candle. 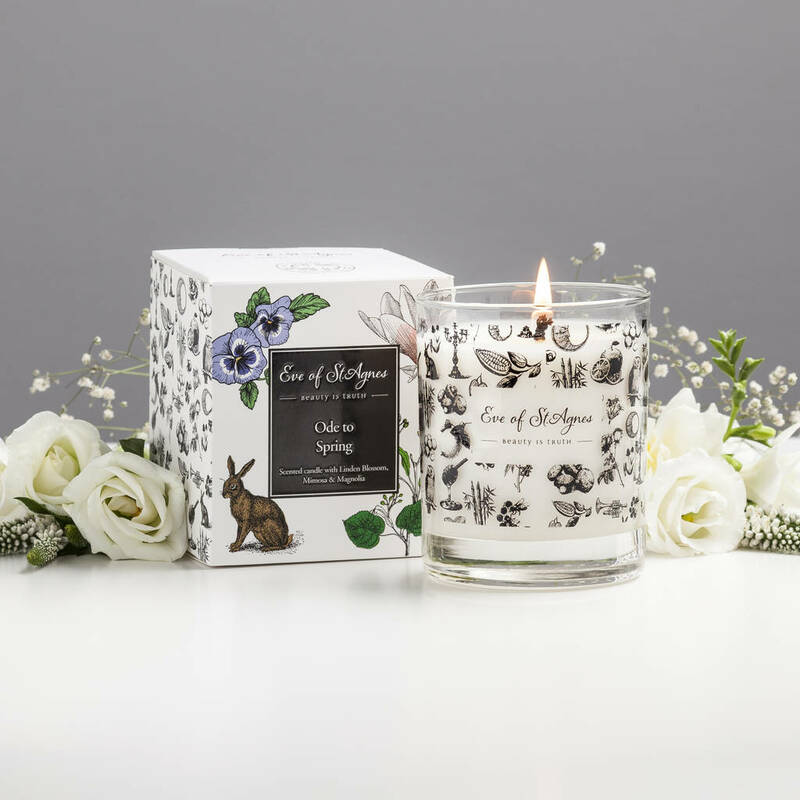 Each candle has a burn time of between 40-45 hours and as the candles are made from a 100% natural blend of waxes, you can rest assured that they are safe for asthma sufferers and for pets. 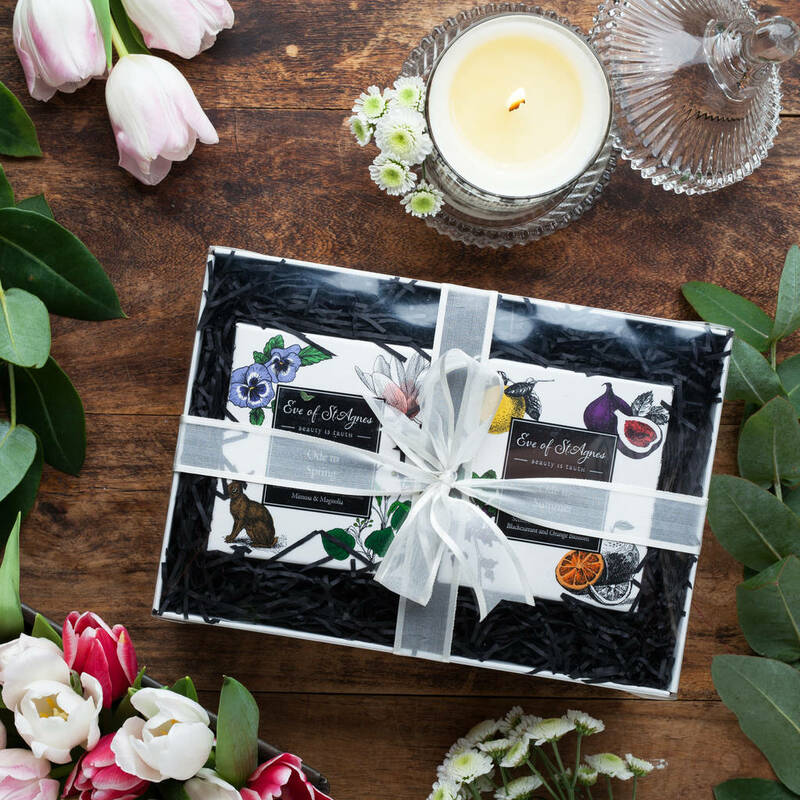 The candles are boxed in an ivory gift box with a clear lid, tied with an organza ribbon to create a truly elegant and luxurious gift. Makes an ideal Christmas gift, a thoughtful brithday gift for a friend at any time of the year. 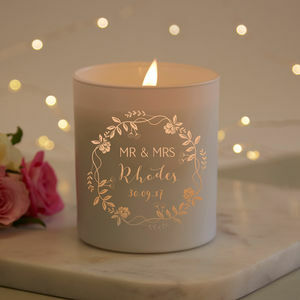 2 x 200g candles in a glass jar in a card box with an acrylic top with an organza ribbon.